I'm starting a project of book covers for imaginary books. 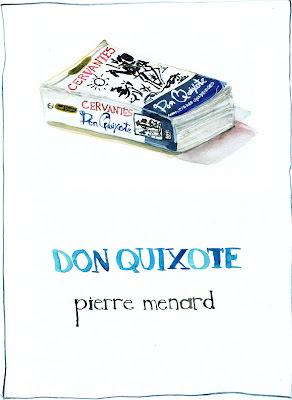 The Invisible Library (previously invisiblelibrary.com, now accessible only through archive.org's wayback machine) kept a table of fictional books, their authors, and what real book they appeared in. I've picked some of my favorites that I think will also be fun to illustrate. 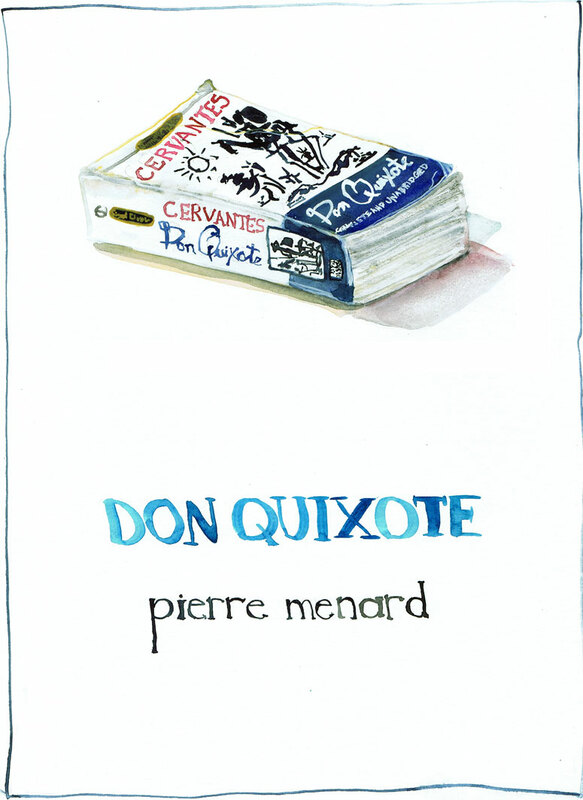 These will be posted out of order, but I thought it would be fitting to start with Pierre Menard's Don Quixote, from Luis Borges' "Pierre Menard, Author of Don Quixote." I'd guess that Orange is a reference to Orange Order protestantism. 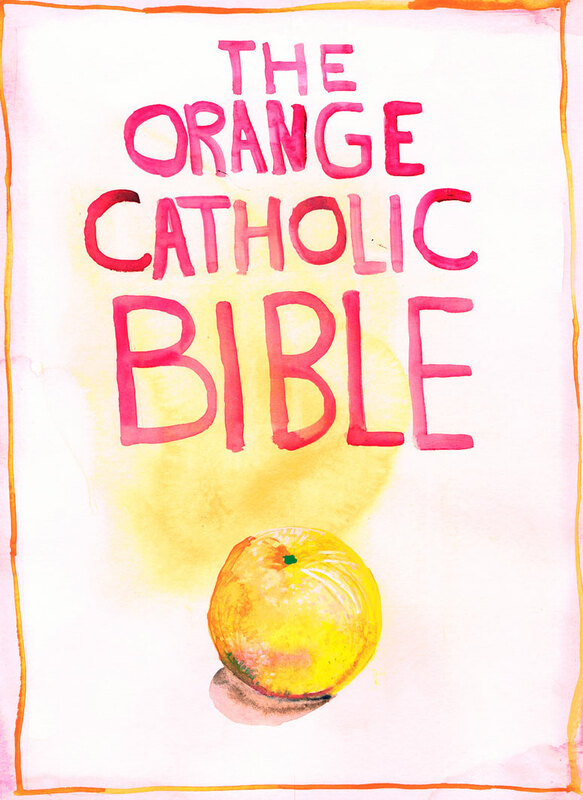 So the book would either be the ultimate ecumenical text, or a paradox. Your orange is much sweeter than the average Orangeman though.